100% SATISFACTION GUARANTEE: Buy with confidence! Your order is guaranteed to arrive without defects or errors on our part or you are entitled to a 100% refund or replacement (including shipping costs in special situations). Our primary goal is your satisfaction, and we offer a NO-HASSLE return policy that allows you to return your order for any reason within 30 days. If you order a sound deadening kit from Corvette Sound Solutions, and are not completely satisfied, you may, return it within 30 days in like new condition, in the original packaging for a credit or exchange. A 10% restocking fee may apply. Please contact our Customer Service Specialist at 855-326-7838, for return instructions. For instructions, installation questions about our products, or any other item inquiries, our Call 855-326-7838 as we are here to provide the answers. If you have questions please feel free to contact us! *Please note that Corvette Sound Solutions a part of Corvette-web-central.com LLC can not be held liable for 3rd party expenses beyond our control, including installation charges, storage costs, towing charges, etc. 1. Contact our Customer Service Specialist at 855-326-7838 provide us with the information needed to process your return Name, Order date reason for return. 2. Repackage the items carefully to prevent damage during return shipping. 3. All parts must be returned in their original boxes. 4. 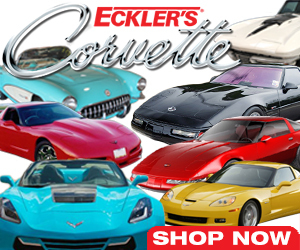 Return the item, to Corvette Sound Solutions with information, noting any address corrections. Send your return to us shipping prepaid by UPS (within USA), insured parcel post or Federal Express Home Delivery Service. COD returns are not accepted. If Return is due to error of Corvette Sound Solutions, please call our Customer Care Team at 855-326-7838 to arrange for return authorization. Defective items will be replaced per Corvette Sound Solutions guarantee. Refunds will be issued via the same method in which the merchandise was purchased. 5. If you discover damages or losses caused in shipping, notify your local carrier's office immediately. Save all packing material, including the box. They will inform you of possible inspection and pick up of the damaged merchandise. They will return it to us or notify us of the claim. Also, please call us with your name, invoice number and description of damage or loss. *Personalized and special ordered items are non-returnable. *Corvette Sound Solutions reserves the right to substitute items of equal or better value and quality.